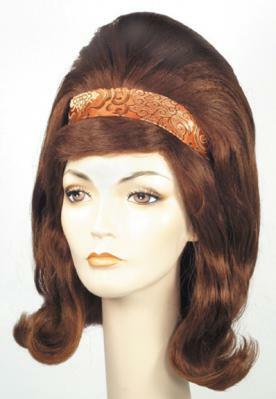 When you need that classic beehive style you know so well from the 60s with the great flip to it, you might want to check out the Bandstand Wig by Lacey. This wig includes a wide headband, has a great flip to it and comes in 10 different colors to suit you and your special ocassion. You will know you have found the perfect look when you see this wig and try it on. Go back to the 60s with this look!